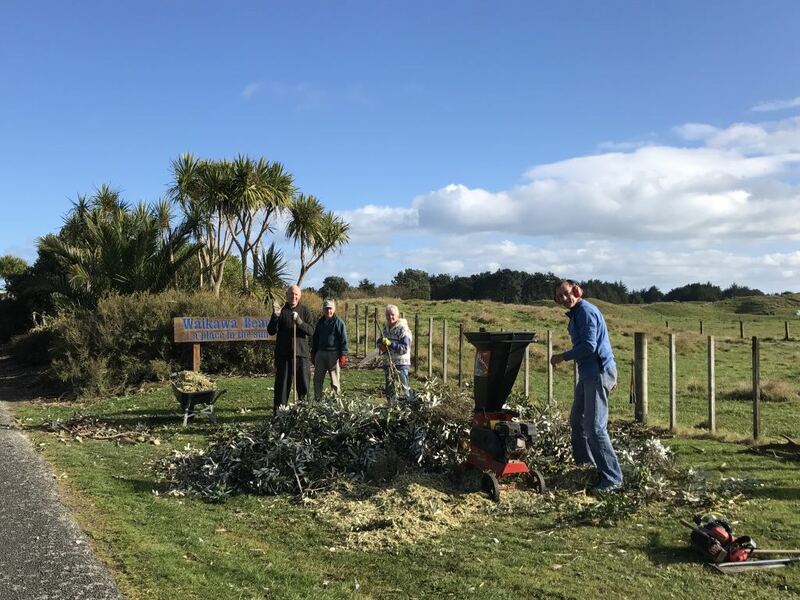 Three working bees have been held so far this year and it was gratifying to have so many turn out for the last one, when $1000 worth of small shrubs were planted at the entrance way. Our grateful thanks to the Manakau Medieval Market Charitable Association for their grant of the $1000. The area surrounding the shrubs has been sprayed and it is planned to spread twig mulch to save the continual mowing of the area. Arrangements have been made to enable the area to be watered this summer should it be dry. This should ensure a good start to the plants all of which have been recommended as hardy and suitable for our conditions. A working bee was held at Easter on the Reserve and it now looks very tidy and attractive. Another is planned for Anzac Day 9 am at the entrance way where there is a large amount of mulch to spread. One truck load was donated by Mitchpine and we thank them most sincerely. 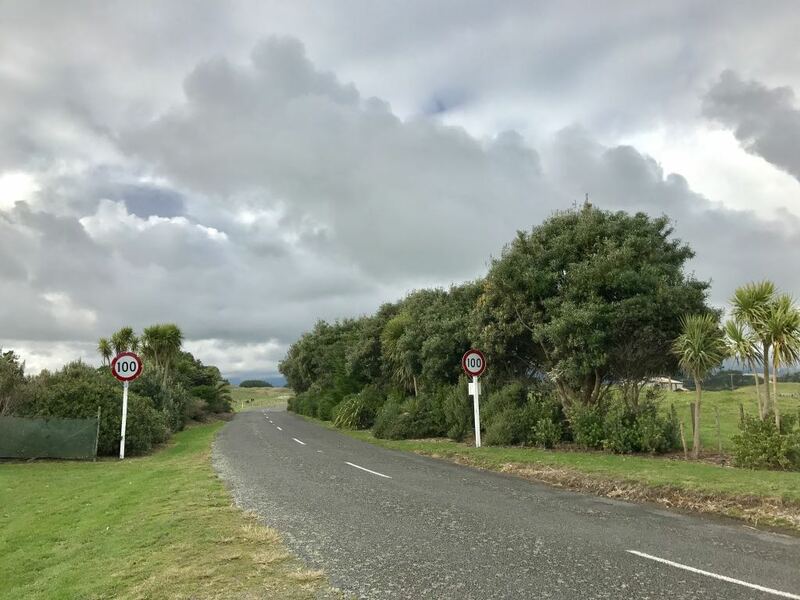 2017: Waikawa Beach entrance plantings — a bit overgrown. Looking east. The entrance to the Waikawa Beach village is splendid — a hundred metres or so of plantings that have flourished. But they’ve flourished a bit too much and it’s time for a trim. From: Village entrance trim July 2017 — help needed! Some of the entrance way tidy up volunteers. Margaret and Kevin Burns, Fraser from Sarah Street, Steve Betts. Over a couple of fine days in late July (which was a rarity this winter! ), willing hands spent many hours clipping, raking, wheelbarrowing, mulching and generally tidying up. Thank you to all those who assisted.